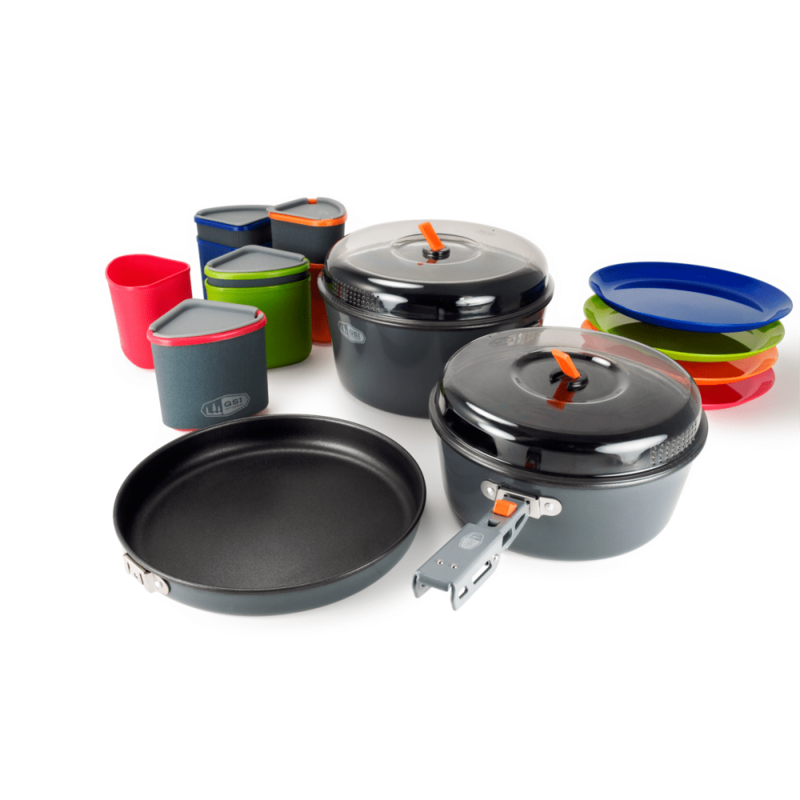 A compact way to feed up to four people, the GSI Bugaboo Camper cook set includes everything you need to cook a gourmet meal, eat it, and wash it down. You bring the ingredients and utensils, and the Bugaboo Camper will handle the rest. Packed dimensions: 9.1 x 9.1 x 5.8 in. Weighs 3 lb. 10.1 oz. Weight: 3 lb. 10.1 oz.